Beccles facing north towards Yarmouth and Lowestoft. The North Junction box is to the left. 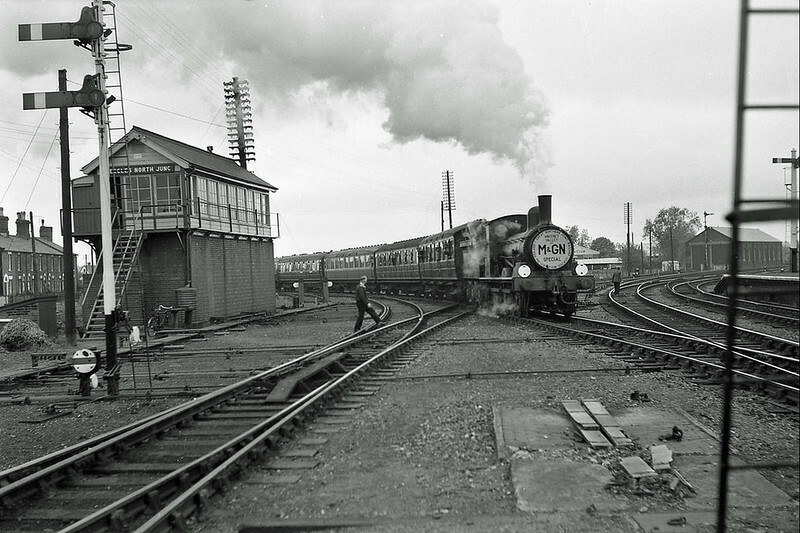 An M and GN Special is just leaving the Waveney Valley Line probably about the time of the lines closure. The engine shed is to the right. Image:- J S Doubleday.